Cycling isn’t complicated. It’s about you and what you choose to do with your bike. Where you ride, how you ride, and with whom you ride all influence your enjoyment from the act of cycling. When it comes to The Bunch, there are a few fundamental rules that should be adhered to – some are spoken, others assumed. In the first feature of RIDE #63, James Stout considers the cycling bunch and what it has to offer. This is a most poignant story at a time when bunch riding is more prevalent on our roads than it has been for a long time. If you’ve ridden all your life or are new to the sport, this is a reminder of how important etiquette is in the cycling bunch. Please share this story with anyone you know who rides. The Trek Factory Racing team formed a training bunch of its own in the days leading up to the Tour Down Under this January. It’s nine o’clock on a Saturday morning, the regular crowd shuffles in. There’s an old man sitting next to me. On the other side of the car park three WorldTour riders chat about schedules for the coming season. I’m trying to work out how to fit all the clothes I needed at 6.00 into my pockets – it’s 8.00 now and too warm for legwarmers. I finish the last sip of lukewarm crap coffee and cast the cup into a plastic bag where it joins three dozen exact replicas. With a chorus of clicks the dance begins. We glide down the road, riders joining like tributaries flowing into a river. Smoothly we rotate and I find myself in the cold wind, dressed for how hot I’ll be in 45 minutes but shivering now. A rider you know from magazines and I know from last week notices the nightclub entry stamp on the top of my hand. We’re riding close enough that he can read the name of the joint, not the classiest spot in town. We bump shoulders laughing and nobody behind bats an eyelid. We keep a good clip, dispatching the chaff and catching the intrepid souls who decided that true glory lay through a red light. We chat, not wanting to be the first to run out of breath and I remember the supreme pleasure of sharing the road with a well organised and proficient group of like-minded guys. The group ride is a unique sporting phenomenon: you don’t go out into the nets with Shane Warne, or catch Usain Bolt on a jog. On a Saturday morning for a few kilometres before the first hill, the man who writes your tax return can share the road with a Paris-Roubaix winner and a 19-year-old novice can learn from the pair of them. Unlike the river, the bunch ride doesn’t always flow smoothly: a group ride can be a wonderful chance to share the road with grandfathers and Grand Tour winners but it can also remind me just why I like training alone. Entrance into the cycling tribe isn’t charged in dollars but in hours. Experience, proficiency and courtesy are the only status symbols in this little Saturday morning world. Nobody will judge you on your bike, job or car but if you put a wheel in the wrong place, slam on the brakes, scream every time the road deviates from billiard table smooth or attack at the wrong spot this welcoming group turns quickly into an angry mob. Cycling serves as a fantastic microcosm for society. Those familiar with the Russian anarcho-communist zoologist Peter Kropotkin’s idea that the species which cooperates the most prospers will be well aware that nowhere is this more true than on the bike. We all know that the way to get from A to B fastest (and with clavicles intact) is a smooth rotating double paceline. Yet there’s always that one fifth columnist on every group ride who seems to have been sent to impede the group’s forward progress and make what should be an enjoyable ride a constant frustration. Kropotkin based his writing on his observations of wildlife in Russia’s harsh winters. Like penguins on the ice, cyclists too huddle together for protection from the wind, sharing the time spent in its teeth so that each can rest enough to survive and none is left to perish. Like the penguins we preen and pluck to make sure we look our best. Scientists track these penguins using GPS collars and note the perfect rotation which allows the birds to move from the cold outer ranks to the warm interior of the huddle. What then, differentiates us, the supposedly more intelligent beings, from the dumb birds? Why must individuals always act in a way which harms the collective good? In a word it’s ego. You see the penguins may have GPS devices but to my knowledge they don’t have the ability to upload them to a website where they can race bikes on the internet. Sadly, we do. Once the ride is over nobody remembers. There’s no ledger, just tired legs and hungry stomachs and Saturday afternoon washing the car. As a rule cycling has a short memory. One minute you can be on the podium in Madrid and the next you can be unemployed. Nobody likes a gloater and we all know that bloke who will never let us forget about his one victory in days of yore. Recently, the habit of immortalising mediocrity has gained a new, worrying and very orange face. Now the group doesn’t just have to worry about the self-nominated “sprinter” who gets to third wheel and sits up each and every time before launching himself and his flailing limbs at the finish point like a boozed-up Exocet. Now we also have to worry about the Strava racer. The sprinter is guilty merely of confusion, he’ll tell you “racing is the best training” (perhaps adding “bro” to emphasise the importance of this statement) and that he is thus mastering the art of bicycle racing on this group ride (he is, of course, wrong: racing is about minimising effort and energy expenditure whereas training is exactly the opposite). The Strava racer by contrast is malicious, just as many in the 1990s used exogenous substances to increase their performance and obtain better results, so the Strava rider uses the group to the same end. He gradually moves up the middle of the group, disrupting the pace line, interrupting conversation and forcing riders into traffic. On reaching the front he launches himself from second wheel across the finish line of a bike race which is happening on the internet. In a real bike race you know if you’ve won or lost instantly. For the Strava racer the tension is postponed as he resumes his position at the back of the group and eagerly awaits the time when he can return home and upload his achievement. While you’re washing your car he’s claiming the ultimate prize online. The group ride relies on a social contract, unspoken rules which benefit everyone: you pull on the front when it’s your turn, hard enough to keep it moving but not so hard you drop yourself or anyone else. When you’re tired you flick an elbow and pull off smoothly. Sprints occur at pre-designated points, if you don’t know when to go, wait for everyone else. Holes are to be pointed out whilst maintaining the dignity befitting a group of grown adults. If you can’t see a simple flattened palm and feel the need to bellow like a wounded buffalo at every minor imperfection, perhaps you should consider chess instead of cycling next weekend. Road signals are to be obeyed, this isn’t the Tour and nobody wants to spend Saturday afternoon in the hospital waiting room. Hills are not an opportunity to unleash a five-minute max power, ride steadily so the group stays together and push on over the crest rather than weighing anchor the moment you reach the summit. We all want to show how strong we are, especially the week before a local race. The group ride has socially acceptable ways of doing that: take longer turns, push the old bloke, win the sprint, ride to the start, ride home. Just because you were recently crowned C-grade world champion and bought a set of carbon hoops to celebrate doesn’t give you the right to disrupt the age-old rhythm of the bunch. So don’t run that red (don’t even accelerate for an orange light if you’re on the front), don’t chop wheels or half-wheel on the front, don’t pull out halfway up the bunch when you’re too tired, don’t alter the pace because you’re not in “the zone” or slam on the brakes when you get scared and please, never use a social ride in an attempt to increase your profile on social media. Just as those penguins peck and flap to establish seniority, so the bunch ride has its own pecking order. This social hierarchy might not award little crowns you can post on Facebook but it does serve an important purpose. Where racing concentrates ability and experience (and lack thereof) in the different grades, the wide range of abilities on a group ride allows the novice to benefit from the experience of the elite. A well-structured bunch allows the older riders, with thousands of kilometres (and perhaps a bit less speed) in the legs to pass on that experience to the fit beginners (or, God forbid, triathletes) who think they can make up for a lack of experience with power meters and the internet. Watch the experienced riders on your next group ride and observe how they move up safely and slot in at the front (not halfway up the group), how they pull smoothly and flick their elbows to indicate the end of a turn, how they ride bar to bar calmly pointing out obstacles. It’s serene and effortless, like a locomotive running at full steam. Then watch the novices overlap wheels, dive-bomb corners and screech to a halt halfway around or engage the reverse gear on their new 11-speed groupset when standing on a climb, listen to them holler “inside” as if announcing their perilous intentions makes them somehow acceptable. It’s like that same engine only misfiring and tearing itself apart. A good group ride will teach a willing apprentice how to fit in. Sometimes the teaching will be explicit and often it will come simply from watching, and copying, those who know better. Stronger riders could’ve ridden as hard or harder alone, they dictate the pace of the bunch and ride in the wind. They chose to ride with people, to enjoy the social aspect of cycling. It’s easy for us to forget that the bunch ride is, primarily, a social event. A gentle hand on the back, a quiet “hey mate” at the cafe or the offer of a wheel to follow are all it takes to begin the process of osmosis which brings a hairy-legged newbie into the gang. Cycling is about belonging, about being part of the tribe. We have our rites of passage: your first time shaving your legs, and breaking your clavicle, your first hunger flat, and that first saddle-sore. The bunch ride is where we’re socialised to fit in with this society, where we learn that cyclists shave their legs (although nobody is entirely clear on why), that you have to take your knicks off as soon as you’re finished riding, why and how echelons form and that somehow the holy grail of cycling is to ride in a country where it’s flat, wet, cold, windy and where the roads are made of rocks the size of baby’s heads. If it wasn’t for the old heads taking the time to ride alongside young guns, to impart knowledge like a master craftsman to an apprentice, then the tribe would die out. Cycling isn’t a Hobbesian state of nature, it’s the best example of Kropotkin’s theory: we prosper because we cooperate. Sure we get a training benefit but the reason we drive or ride to the meeting point isn’t to maximise our 20-minute normalised power, it’s to share the road and our free time with other people who share our passion. Cycling is not a zero sum game, we all benefit from all of us getting better; the bunch ride is faster, safer, better looking. A good bunch ride, devoid of screams, surges or the slam of carbon on concrete is a great place to pick up training tips, equipment advice and, of course, the latest gossip. More than that, a good bunch ride is also a place to make and nurture lifelong friendships and to pass on the knowledge which was once passed on to you. To aid in that process of cooperation and help the species prosper. This bike is in the easiest gear possible. It is in the small chainring upfront, and it is in the largest gear in the back. Bikes have anywhere from one front chainring to three chainrings these days, accompanied by seven to eleven gears in the back. The different combinations of these gears will determine how easy or difficult it is to pedal and will dictate your speed. If you are looking to make small adjustments in the speed/difficulty then you will want to change your back gears (also known as cogs). If you are looking to make a big change in your effort or speed then you will likely want to change the front chainring. A great example would be when you are heading from a downhill in the big ring and then switching to the small chainring as you climb up the other side of the hill. Left Shifter – Changes the front chainring and makes the biggest shift change. Right Shifter – Changes the rear cogs and makes the smallest incremental shift changes. What Is the Proper Gear To Be In? The appropriate gear to be in is a gear that allows you to have a good steady cadence without feeling like you are pedaling too hard or too gently. If you select a gear that is too high for the conditions, it will force you into a slower cadence. Pedaling slower than your ideal cadence is wasteful of energy. You also run a higher risk of muscle strains and joint damage, particularly to the knees and hips. Pedaling faster than your ideal cadence can allow you to generate an extra burst of speed, but you will tire yourself out too soon if you try to maintain an excessively fast cadence. Aim for a constant cadence of 75 – 95rpm. 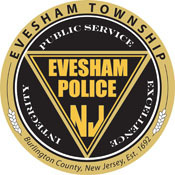 Cross chaining occurs when the chain is on a big slant. The chain should not go on the big ring up front and the big ring on the back simultaneously, nor should it go on the small ring upfront and the small ring in the back. Cross chaining wrecks your chain, decreases efficiency and it also gives you less options when trying to find a new gear. To begin with, start in your small chainring up front. Get on your bike and become familiar with changing your back gears with your right shifter. Get comfortable shifting through the gears (while avoiding cross chaining) before you start shifting with the front gears as well. Attempt to maintain a smooth steady cadence of about 75 – 95 rpm while maintaining a moderate effort when pushing on the pedals. Change the gears appropriately to maintain this steady cadence and effort. Use the small or middle chainring upfront and the bigger gears in the back. You will want to switch in to these gears early as you approach the climb allowing you to climb the hill slowly and with less effort. Use the middle front chainring and the middle or small gears in the back. Focus on small adjustments with your back gear. 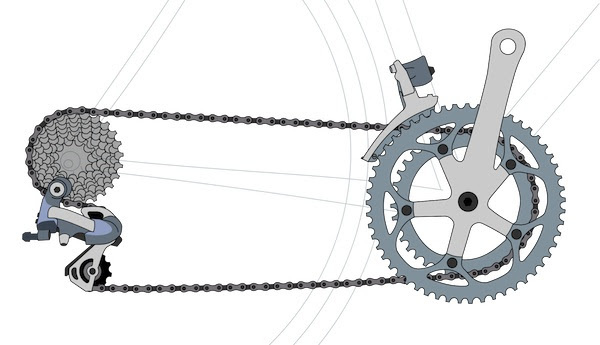 Use the large front chainring and the middle or small gears in the back. We see too many riders with a helmet game so sloppy they may as well leave the lid at home. Follow this advice for proper fit from Randy Swart, director of the Bicycle Helmet Safety Institute in Arlington, Virginia. 2. Tighten the strap just enough against your chin so that it pulls your helmet down a bit when you open your mouth. Gently push the front of your helmet up and back. If it moves more than an inch, readjust. In a widely viewed YouTube video, a cyclist named Casey Neistat, deliberately takes tumble after tumble while trying to navigate obstructed bike lanes in New York City. The video is funny — it even includes a crash into a parked police car — but it also has struck a chord with bike commuters around the country facing a seemingly endless array of road hazards. In urban areas, many riders have reason to be nervous, and that in itself is part of a vicious cycle. Driven in part by riders’ demands for a greater sense of comfort and safety on the road, new apps and gadgets are promising to do for the bicycle what air bags and satellite navigation did for the family car. What used to be a simple, healthful mode of transport is fast becoming a tech festival on wheels. Perhaps it was to be expected. Travel by bike has surged in recent years, spurred by bike-sharing programs and efforts to set aside and improve bike lanes. New York, Chicago and San Francisco introduced bike-share programs last year, and a dozen cities nationwide are planning to follow suit. From 1990 to 2012, the number of bicycle commuters nearly doubled in the 70 largest cities, according to data collected by the League of American Bicyclists. Today, Americans make more than four billion trips by bike each year. One of the biggest grievances of all these cyclists is not being seen. Jonathan Lansey, 28, spent so much time dodging cars on his daily commute in Boston that he began a Kickstarter campaign to finance production of a bike horn that could not fail to get drivers’ attention. His brainchild, Loud Bicycle, sounds like a two-toned car horn and, at 112 decibels, is about as loud. He tested the horn on his commute and found that drivers reacted immediately, as they would to another car. 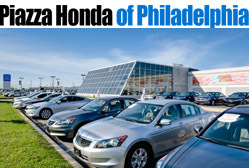 “They’re more worried about damaging their car than another person,” he noted. Philip McAleese, 39, of Newtownards, Northern Ireland, also wanted to make cyclists more visible, so he developed a bike light called See.Sense, which has sensors that react to surrounding light levels and movement. If the cyclist swerves or brakes, for instance, the lights flash in a pattern similar to those on an ambulance or a police car. See.Sense also has a broad beam, so the bike is more visible from all angles, helping to prevent a side-on collision. Who needs bike lanes at all? The Xfire Bike Lane light is equipped with two high-visibility red lasers that project two three-foot lines onto the road, creating an ad hoc bike lane. The lighted lane is visible to motorists up to a mile away, according to the manufacturer. But perhaps the most surprising leap in high-tech safety is an inflatable bike helmet called the Hovding, which works much like an automobile air bag. The device, worn around the neck like a quite fashionable scarf, detects the impact of a crash and inflates a sort of instant helmet around the cyclist’s head and neck. Tests performed by the Folksam insurance company in Sweden suggest it may be three times as effective as a standard helmet. But riders in the United States will have to wait to try it; at the moment, the Hovding is sold only in Europe. In addition to their personal safety, cyclists worry about safeguarding their bikes. 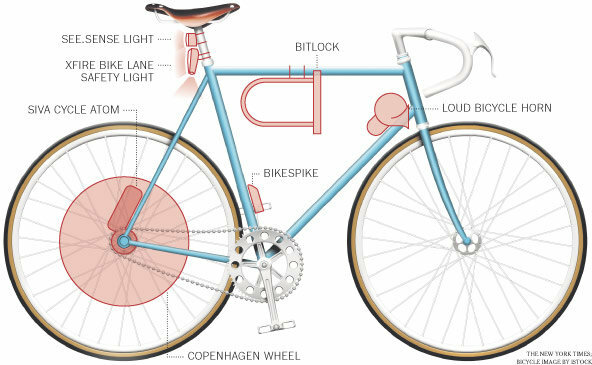 A device called BikeSpike, affixed to the frame, allows you to track its location on a smartphone, so you can find a stolen bike or just keep track of family and friends on the road. For a monthly fee, the app also alerts your smartphone when a bike has been in a crash or deviates from its expected course (such as a child riding too far from home) or is tampered with. BikeSpike goes on sale this spring. BitLock is a bike lock with a twist: It can be locked and unlocked by a smartphone, and not just the cyclist’s. Once other users have permission, they can use the app — which also provides the bike’s location — to grab the bike wherever it has been left. The result: instant individualized bike-share, without the costly and ubiquitous street racks. The locks should be available by fall. For cyclists who want to take self-quantification to the next level, there’s theCopenhagen Wheel, which replaces the regular back wheel of a bike. It tracks how the cyclist pedals, the distances traveled and calories burned. The wheel also includes a motor that kicks in on longer or steeper rides, which is intended to remove the perennial objection of would-be commuters that a ride is too long or difficult, making it a more appealing alternative to jumping in the car. The wheel is available for pre-order online. For many cyclists, the most important onboard device is a phone. The Atom, a USB battery pack that is recharged by pedaling, can be connected directly to any USB-powered device such as your phone or bike light, or removed from the bicycle to charge a device after your ride. “We’re providing mobile power for mobile technologies,” said David Delcourt, chief executive of the manufacturer, Siva Cycles. The device can be pre-ordered online for shipment in July. Not all cyclists are enthusiastic about the rapidly evolving robo-bike. They say the new technology could become a distraction to cyclists who need to stay focused on the road. Maybe what’s really needed is a course in improving real-world bike skills, perhaps paired with devices like a loud horn or a brighter light to help make the streets less intimidating. SAINT-QUENTIN-EN-YVELINES, France — Age hasn’t slowed cyclist Robert Marchand. Marchand, a retired firefighter and logger, also holds the record for someone over the age of 100 riding 100 kilometers (62 miles). He did it in four hours, 17 minutes and 27 seconds in 2012. Marchand received a standing ovation and was mobbed by dozens of photographers and cameramen at the finish line in France’s new National Velodrome, a 74-million-euro ($100 million) complex that officially opened its doors Thursday. The athlete smiled and raised his arms at the finish, supported by two assistants. “It was very good, but at the end it started to become very hard!” he said. He said he couldn’t have done it without the public’s support. “You have to know there are people who came from 600 kilometers away to see me today! It is incredible. That’s all I can say,” Marchand said. I guess the moral of this is – Don’t let up, just keep riding. The best years are still to come. 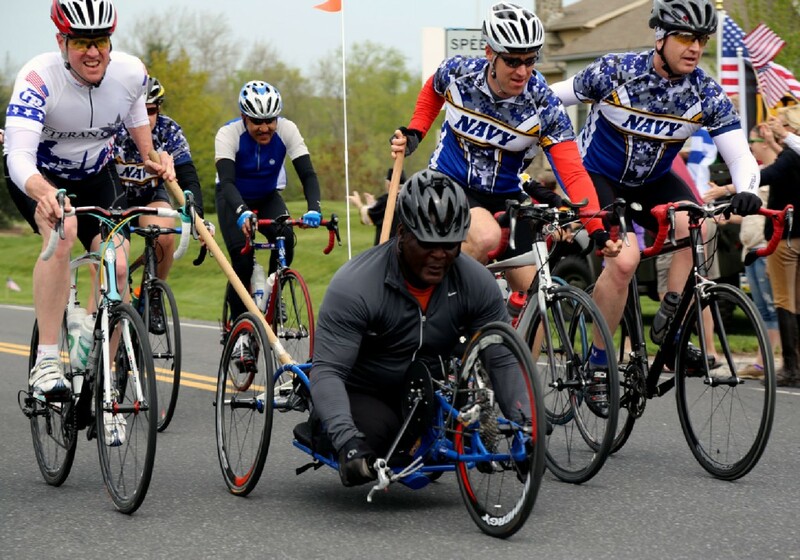 Our very own extraordinary cyclist, great bike traveler, European correspondent, and writer, John Murphy recommends this ride to honor wounded veterans. John has participated in this ride for several years and this should be on your calendar for April. John wrote the article below giving incite into the ride and several of the wounded veterans he rode with. Even if you don’t cycle, it is worth your while to read this. As we slip into the depths of winter and the forced inactivity that goes along with it, there is no better time to think about new rides in 2014. 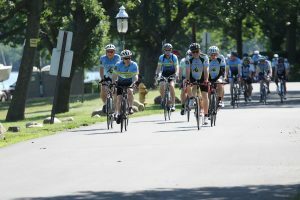 There are a wide array of local rides to choose from including the City to Shore Ride, the Tour de Cure and the American Cancer Society Ride. 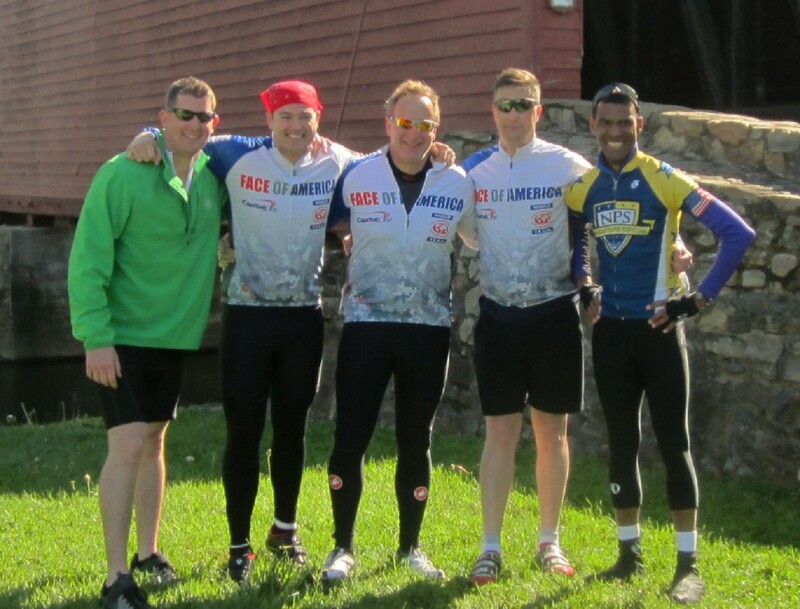 However, if you are thinking about adding a new charity ride a bit further afield, there is no better choice or cause than the Face of America Ride that runs from the Pentagon in Arlington, Virginia to the battlefields of Gettysburg April 25- 27 of this year. The Face of America ride is a charity event sponsored by World TEAM Sports. The organization has been sponsoring sporting and recreational programs for the disabled since 1993. The programs include cycling, hiking, skiing, mountain climbing and various water activities. However, over the last decade, the organization has shifted much of its focus to working with wounded veterans from the wars in Iraq and Afghanistan. 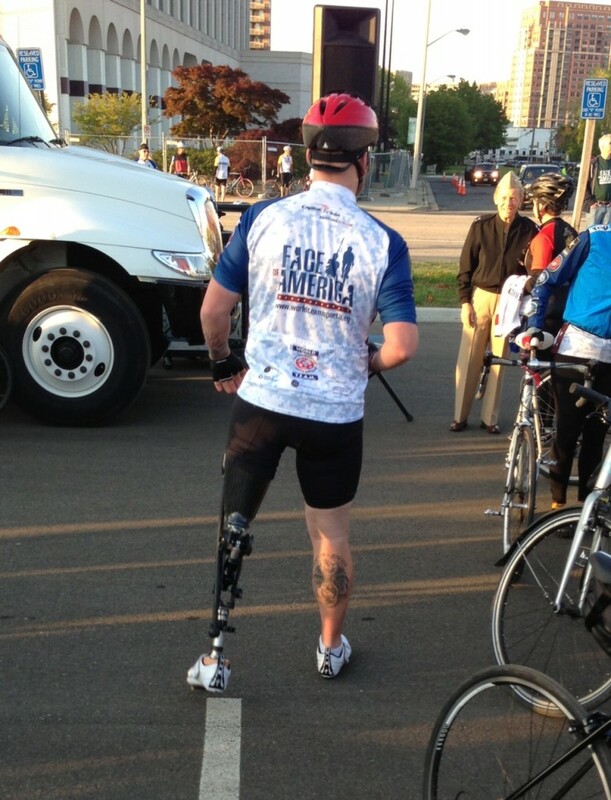 Last spring, over 100 wounded veterans, many of them riding hand cycles, participated in the 2013 Face of America ride. 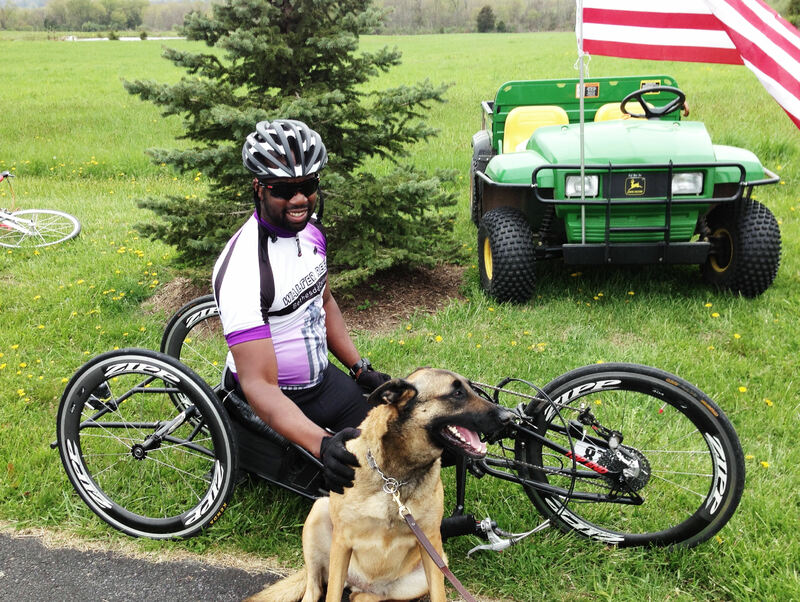 The 2013 ride was led by Colonel Gregory Gadson of the United States Army. Gadson attended West Point and was the co-captain of its football team in the mid-1980’s. He later served as an artillery officer in both Iraq and Afghanistan. On a dark evening in 2006, Gadson was returning from a memorial service for fallen comrades in his unit when his vehicle was destroyed by an IED. He lost both of his legs to the hip and his right arm was severely damaged. After multiple operations and extended rehabilitation, Colonel Gadson returned to active duty and now serves as the Commandant of Fort Belvoir. He is also a motivational speaker and had a supporting role in the movie Battleship. Notwithstanding his injuries, Colonel Gadson rode a hand-cycle the entire 110 miles to Gettysburg at the front of the ride. He entered Gettysburg surrounded by fellow active duty members of each of the services as hundreds of cheering spectators welcomed him to Gettysburg. Further back in the pack was former pro cyclist Tyler Hamilton wearing baggy socks and sneakers who served as an honorary sponsor of the ride. The Face of America ride is limited to approximately 500 riders. The event begins Friday evening at the Doubletree Hotel in Arlington, Virginia with a welcoming dinner that includes keynote speakers such as Colonel Gadson and recently retired Marine General James Mattis who led the Marine force in the 2003 invasion of Iraq. This year’s dinner speakers included a group of Canadian veterans who served along side American forces in Afghanistan and engage in similar fund-raising activities for wounded veterans in their own country. Periodic rest stops mark our route north. Local residents welcome us at each rest stop with cheering and signs welcoming the riders. Our hosts include local veterans, cub scouts and volunteer fire companies who are welcome the wounded warriors passing through their communities. At one rest stop late Saturday morning, I am talking to Colonel Gadson when a mother approaches with her timid four year old son in tow. Her son knows nothing about Colonel Gadson’s combat service or the circumstances of his injuries. He wants to meet the actor he enjoyed seeing in Battleship. Corps and speaks of his six tours of duty in Iraq and Afghanistan. Although he survived these tours with no physical injuries, the stories he tells and his weary eyes speak of psychological wounds that can only be felt rather than seen. I also meet Rear Admiral Margaret Kibben who serves as lead Chaplain for the Marine Corps and a group of outgoing Canadian army veterans who served as bomb disposal experts in Afghanistan along side American forces. We leave Frederick early Sunday morning and head north into the rolling hills of northern Maryland past horse and cattle farms. This is the most beautiful and peaceful portion of the ride. The sun is up, the early spring air is fresh and the only sounds to be heard are the measured breathing and muffled conversations of fellow cyclists moving steadily towards their final destination. Several hours later we cross an unmarked border into Pennsylvania traveling the same route that Union forces followed on their way to join battle with southern forces just miles up this road. We are greeted by hundreds of local residents for lunch at the local volunteer fire company. We gather after lunch for the final ten mile ride into Gettysburg. Large cycling groups require special permission to ride through the National Military Park. We break into groups of 25 to 30 riders for the ride across the battlefield. We pass through the outskirts of Gettysburg and quietly pedal into the park with our pace vehicle and Colonel Gadson leading the way. We ride along the eastern portion of the battlefield. To our left is a wooded hill which I recognize as Little Round Top where the 2oth Maine Infantry Regiment held off a series of desperate charges designed to break through the left flank of the Union lines 150 years ago. As we ride on, we approach a group of tourists standing atop a monument honoring the Union war dead. They hear our lead vehicle and the phalanx of riders approaching and turn our way. Seeing our signs and the dozens of paralyzed and wounded veterans and active servicemen in our midst they realize they are looking at today’s American heroes who have sacrificed every bit as much as their predecessors who are honored on this hallowed battlefield. The tourists all turn our way and stand respectfully at quiet attention. As the riders acknowledge the crowd, some break into polite applause. Others appear to be wiping tears from their eyes. We turn left and begin riding across the northern edge of the battlefield. We cross the line held by Confederate forces on July 3, 1863 moments before they launched the attack now remembered as Pickett’s Charge. We soon turn north and head toward our finishing point at Garrahy’s farm. The farm belonged to former Marine Corporal and local businessman Seamus Garrahy who hosted the finish of the Face of America Ride for five years before his death in 2012. As we approach the farm, we are greeted by hundreds of cheering spectators and Junior ROTC cadets. We are also greeted by dozens of local Marine reservists from Frederick and Harrisburg who have brought their armored vehicles and weapons for display. After a lunch of steak and beer, we pack our bikes onto waiting trucks and head back to Arlington by bus. We part in Arlington with promises to meet again this same time this year. 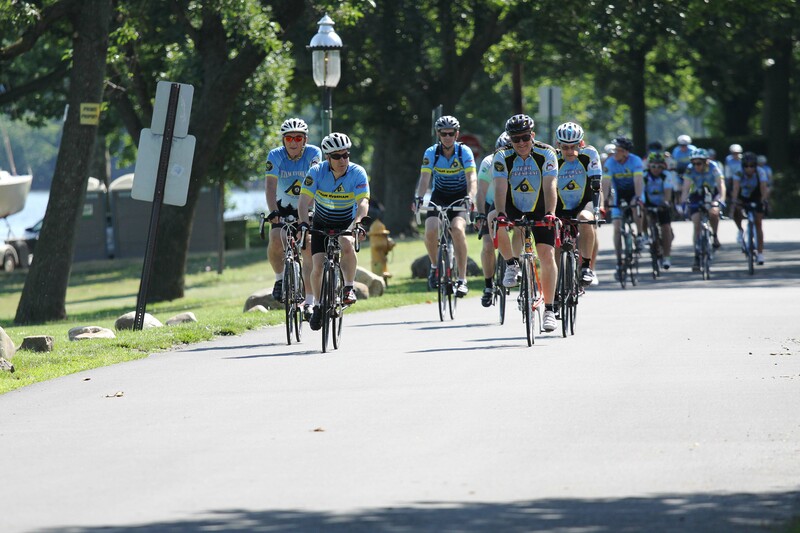 If you are interested in signing up for the 2014 ride, go to the 2014 Face of America website for event information and registration. In addition to the traditional ride from the Pentagon, riders can also choose to do one or two day rides that begin and end in Gettysburg. Whichever route you choose, you will encounter beautiful scenery, new friends and memories that inspire. 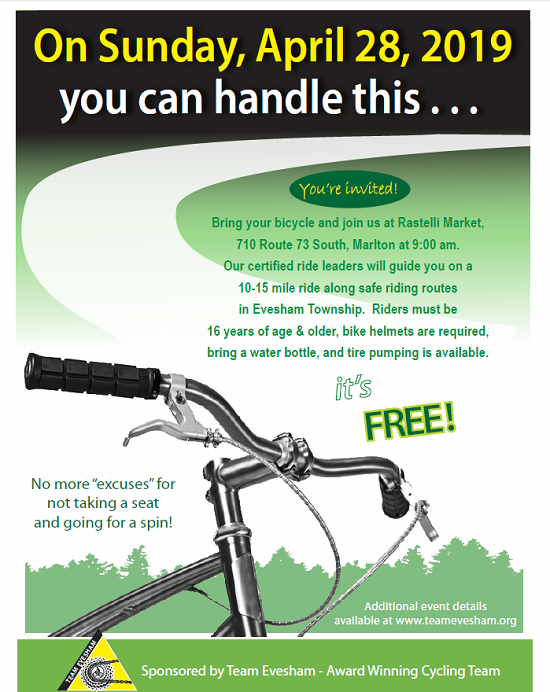 If we generate sufficient interest in the ride, we can likely coordinate our travel arrangements to and from Arlington.